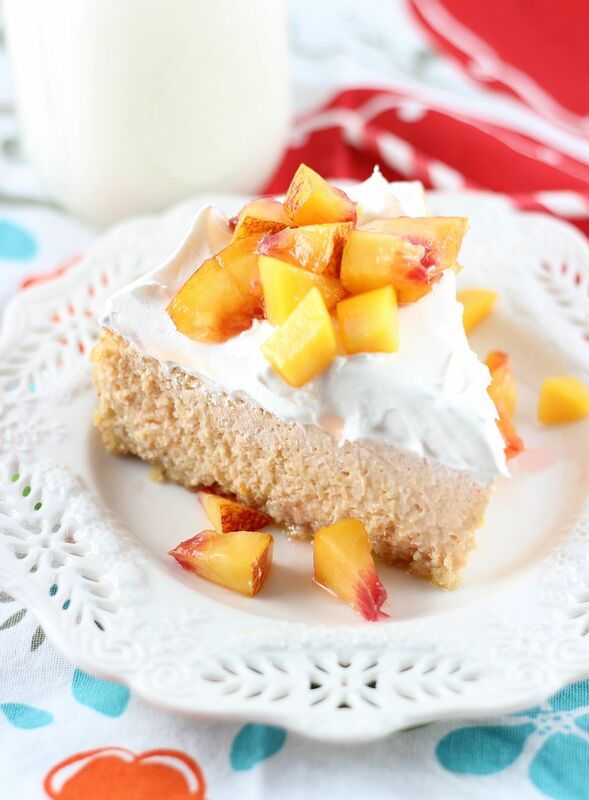 A bright and fruity mango peach cheesecake made with fresh fruit, and with a macadamia nut and shortbread crust! 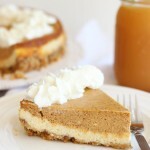 Do I post too many cheesecake recipes? Is there such a thing? NO. There is not. I think I only know one person who doesn’t like cheesecake. Last I checked, that person is my brother. I think he hates cream cheese, but then he recently said that he likes carrot cake which usually has cream cheese frosting. Maybe he likes cream cheese if it’s mixed with lots of sugar. Therefore, he might like cheesecake now. I don’t know. Jeff, if you’re reading, what’s the latest? He also doesn’t like coffee. Isn’t he weiiiird? I don’t have to tell you that we are cheesecake people in this house because I’ve told you many, many, MANY times before. Nothing’s changed! We are still cheesecake people and always will be. This Mango Peach version is in keeping with the tropical kick I’ve been on lately! 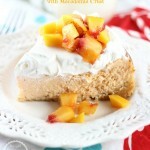 The cheesecake is rich, smooth, and creamy, with fresh mango and peach puree baked right into the batter. It’s fresh and fruity and actually makes this cheesecake feel light and bright, where cheesecake can sometimes feel too heavy. The crust…. it’s heavenly. You can’t skip on adding the macadamia nuts. 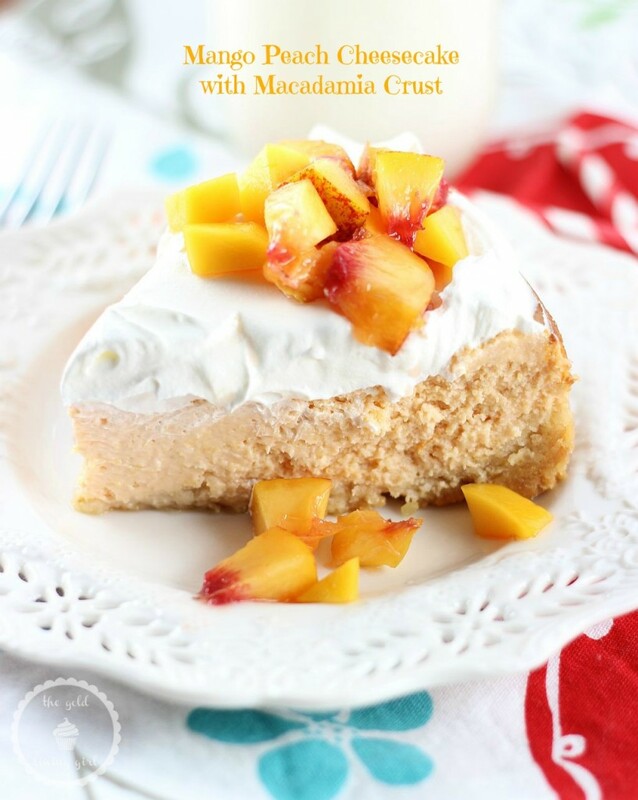 They cost are fortune, but they truly enhance the tropical boost to this cheesecake and add a toasty and nutty flavor to the shortbread crust. I’ve been pretty MIA this week, and I’d apologize for that, but maybe you found it to be sort of a relief? Either way, if you need me, I’ll be at Sephora for the fourth time this week shopping the VIB sale. Happy Friday!!! 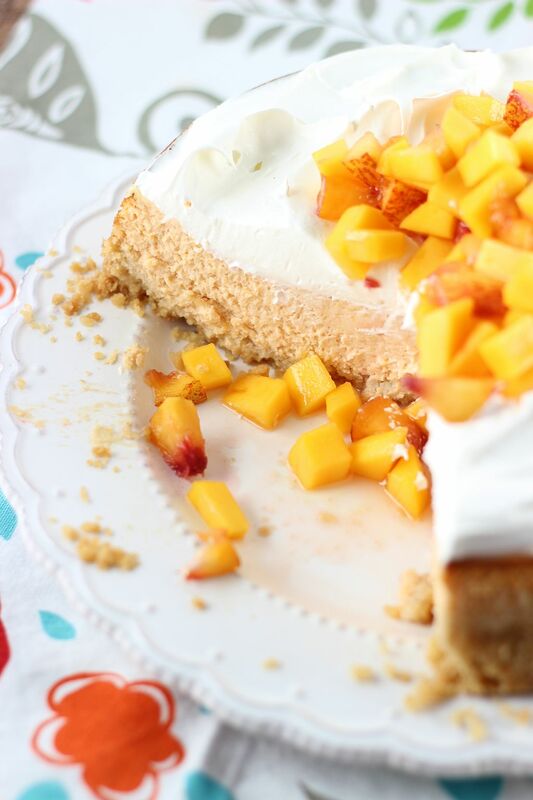 A bright and summery mango peach cheesecake made with fresh fruit puree, and with a macadamia nut and shortbread crust! Using a food processor, pulse the shortbread cookies until crumbly. Pour them into a large bowl. Using the food processor, pulse the macadamia nuts until they are finely chopped. Add them to the cookie crumbs. Add the sugar and melted butter to the cookie crumbs and mix until butter is incorporated. 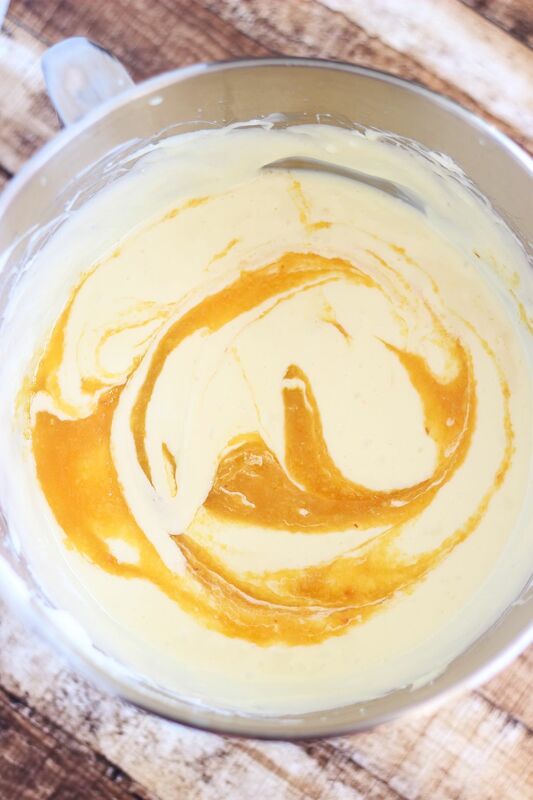 Beat in vanilla and orange zest. In a food processor, puree the fruit until smooth. Fold the fruit puree into the cream cheese mixture. Bake at 325 degrees for 50-60 minutes, or until the edges are set, and the center is still slightly jiggly. Combine the chopped fruit and sugar in a small bowl. Toss to coat. Spoon over cheesecake. EAT! I’m loving all of your fruity desserts these days. 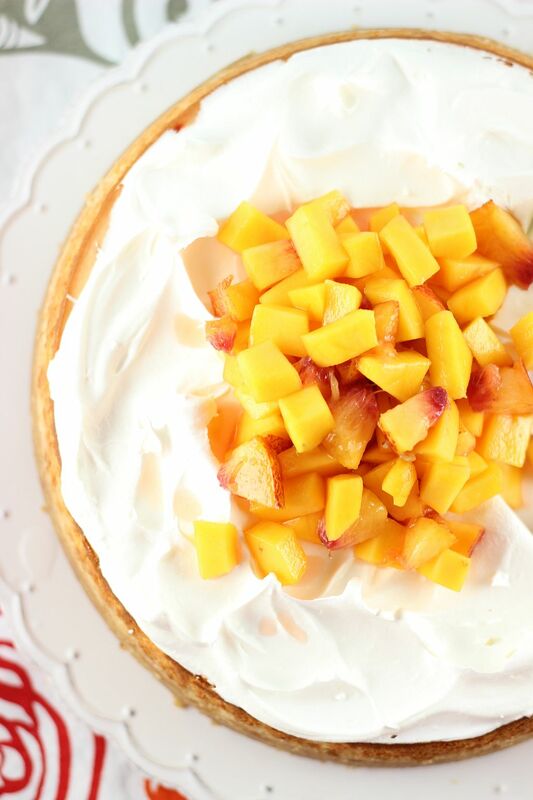 We’re into mangoes in a major way right now, so this is calling my name. And that crust? I could eat it alone…cheesecake or not! Loving all your fruity desserts Sarah! Keep them coming! This looks gorgeous! I have one friend who doesn’t like cheesecake too, like HOW on earth! Totally weird! 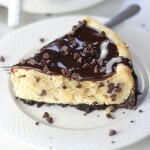 This cheescake looks totally amazing!!! 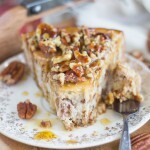 I am not objecting to more cheesecake recipes, especially when this is awesome! All had to see was the word macadamia and you had me. My favorite nut ever! Thanks for sharing at the Thursday Favorite Things Blog Hop! Haha! I love them too. Too bad they cost a fortune, but they are worth it! My husband has weird food rules too! haha makes no sense! This looks awesome and I happened to also see that Key Lime with pretzel crust. Are you freaking kidding me?!? Hi there! Visiting from the 36th Avenue link party. This looks absolutely delicious! I love mango. Thanks so much for sharing this recipe! I pinned it for future use. Your photos are beautiful! 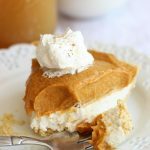 Every single layer of this looks divine! I bet it is delicious! I need to make this! It’s sooo good! We love cheesecake! 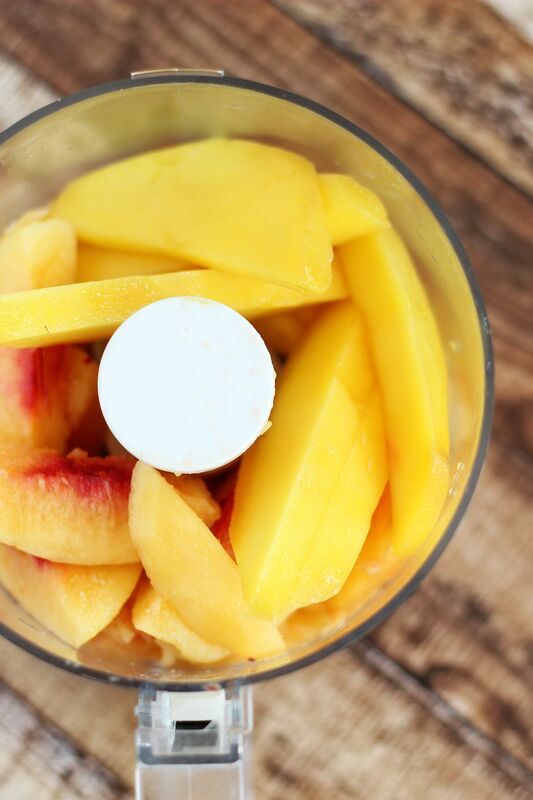 Mango and peaches are an intriguing combination. Cheesecake goes so well with everything! Thanks so much for linking up at #Purebloglove link party! Sarah, what would be the equivalent in cups of 1 1/2 mangos and 1/2 a mango? I generally have frozen mango on habd but not fresh ones. Thanks, this looks deliciously refreshing. Hi Marlene! Ya know, I don’t know exactly, but I think you could probably use about 2-3 cups and divide that proportionally, and it will work just fine. 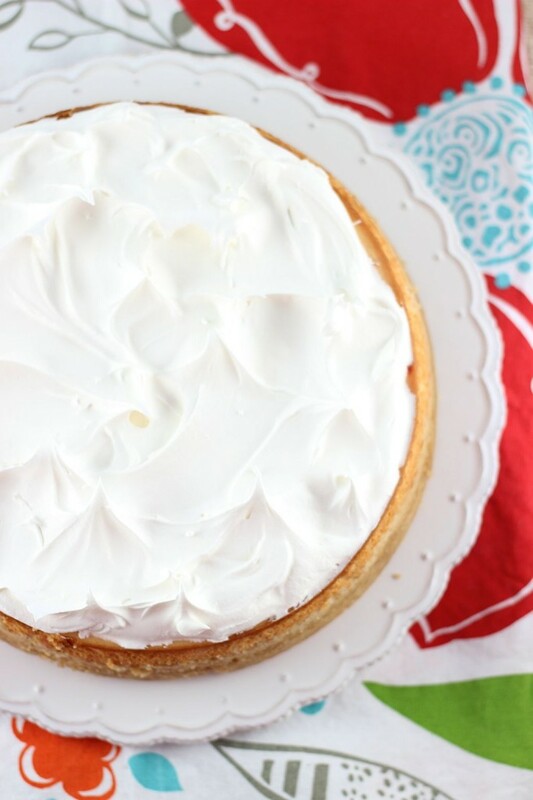 I’ve made this cheesecake with so many variations, and it always holds up really well and is very versatile. I think you could be flexible with the amount of mango, and it should still turn out okay! Thanks! I used the 2 whole mangos in the puree. I think the cake just came incredibly creamier. 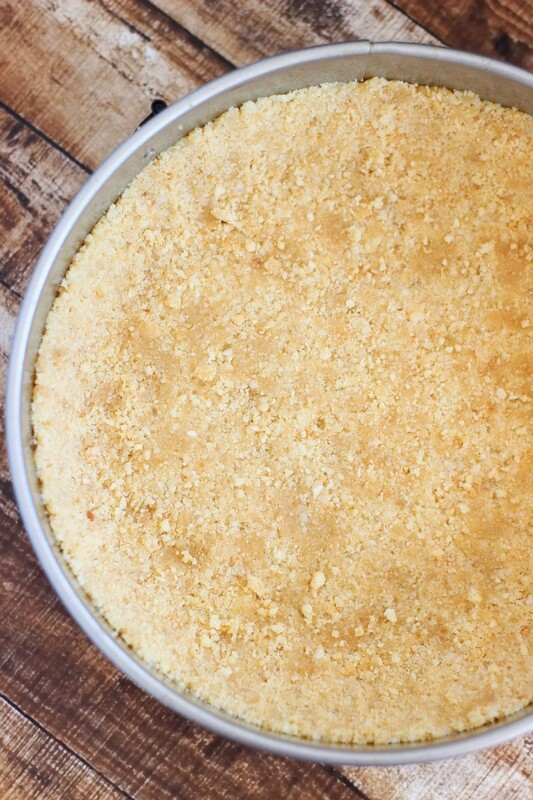 And shortbread cookie in the crust is to die for. 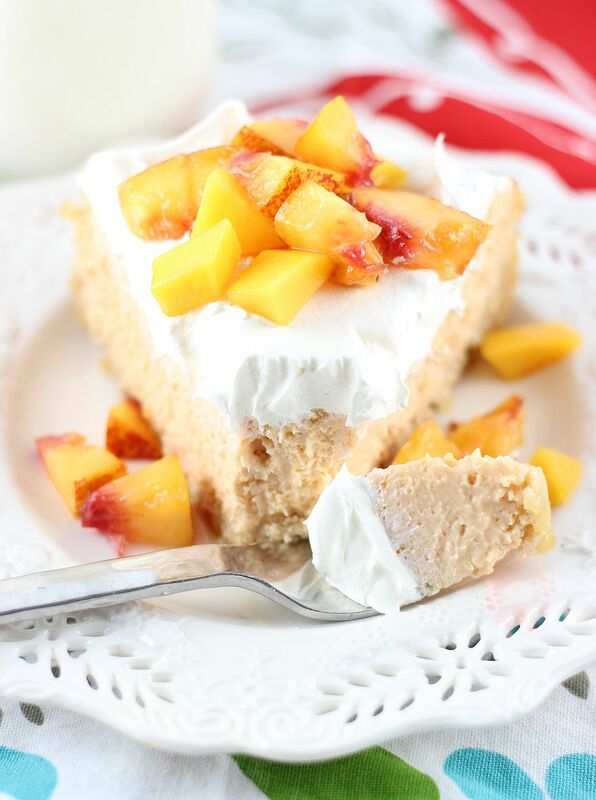 This cheesecake is so adaptable and it always turns out – I think it’s easy to add extra fruit and flavors, and it always turns out for me! So glad you like the crust too. I think shortbread is so much tastier than regular graham cracker crusts. I’m thrilled to hear you liked this! I am a cheesecake guy. I made this and it is heavenly. 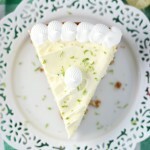 I have an excellent key lime cheesecake already but I am looking forward to trying yours. That would be today by the way. Thanks for your site.